Time Required: About 3 or 4 hours, depending on how detailed you want to get with your painting. This also allows for drying time. – tape (masking or duct). I used masking tape because it’s easy to paint on. – acrylic paint (I just bought a bunch from the dollar store). – paint brushes ( I also bought these at the dollar store). 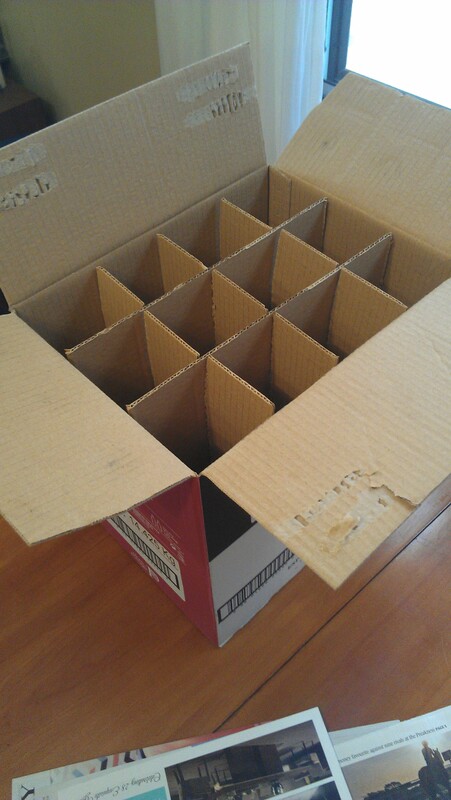 – a cardboard box, preferably with inserts to hold multiple bottles, etc. 2. Take 2 inserts, cut one “slot” off each, layer so slots are on either side and tape together. 3. 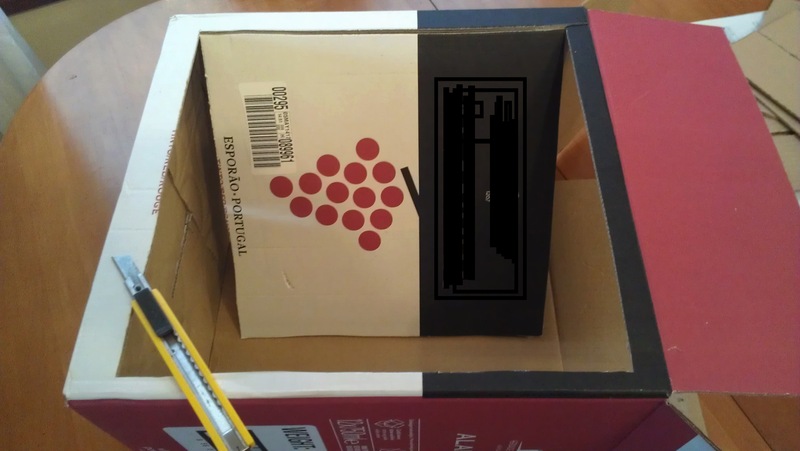 Turn the box on its side, with the cut-out facing towards you, slide the inserts in to make a second floor, tape the lid (now the side) closed. 4. 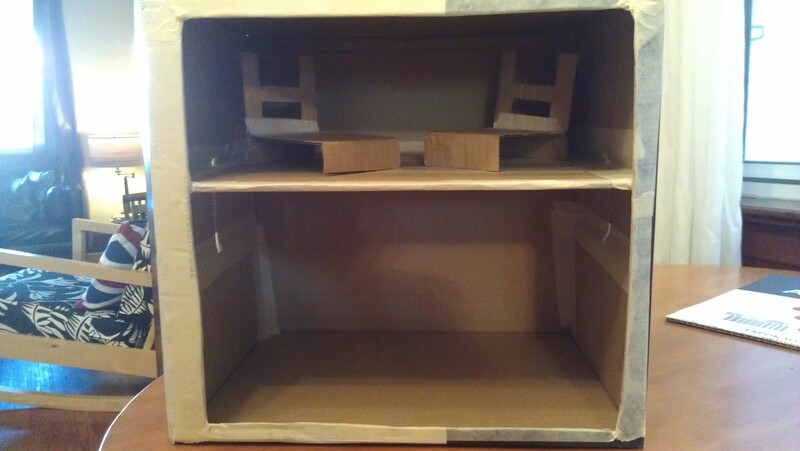 Attach the “second floor” to the inside of the box with masking tape. 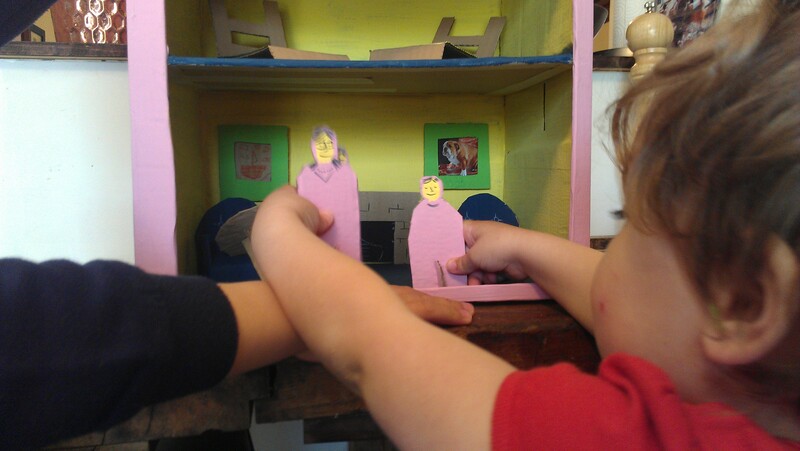 I then put tape over most of the rough edges, including the front. 5. 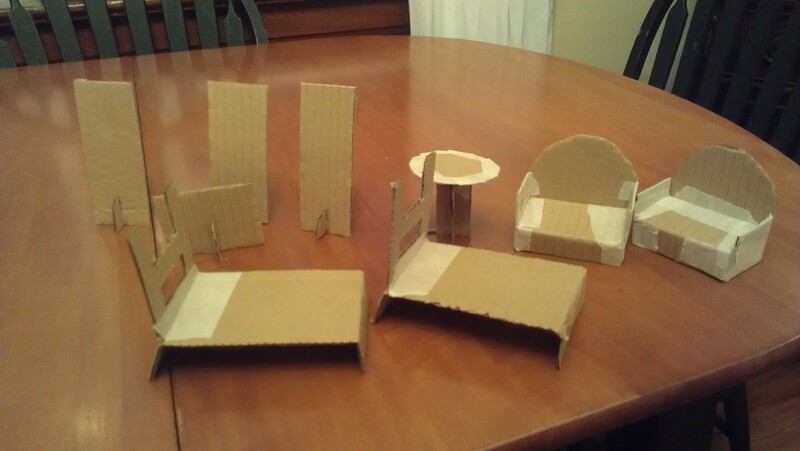 Make furniture and people out of the leftover cardboard. 6. Paint everything with your acrylic paints and add details with a pen after the paint dries. 6. 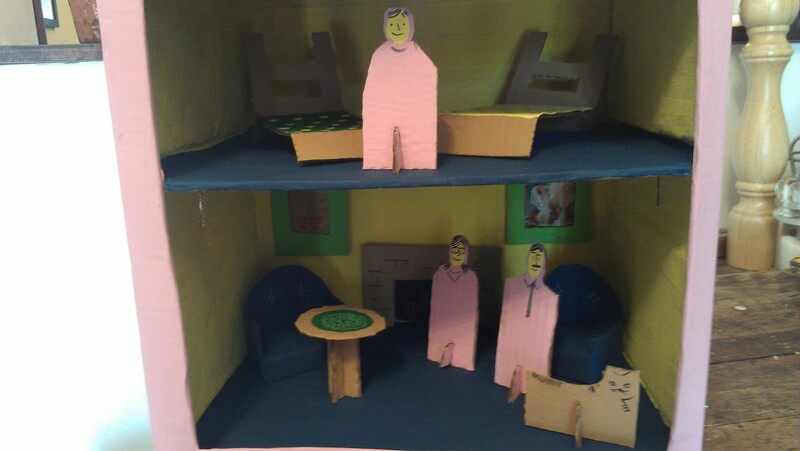 Have fun with your new dollhouse!